Didn't allow Kian to kiss her.. Until I warm up to her a bit, there's no way Kian will be kissing some random redhead I actually started freaking out after she ran away, because in the goals there was no line about the Azadi soldier. It shows up later when we finish up Mole goal. I thought I ruined my chance of finding out about the Azadi raid because I refused the damn kiss. I kept thinking "Likho will be pissed when he finds out I ruined it all". I thought this too. I actually searched through Shady Quay and I though I'd blown it when I couldn't any soldier there. Yes, this. I didn't kiss Anna because, I'm reallllly hoping that he'll be with Enu. Hah. I went to the mole first. I actually spotted Anna on my way there, but I was like "YOU WILL WAIT YOUR TURN! I HAVE IMPORTANT REBELLING TO DO." Darn, we should be able to actually SHOUT that (exactly those words!) to her as we're passing by! hahaha Erika, that is awesome roleplaying. I will definitely do the next playthrough like you, leave her to stand there waiting. "We have seen it all, yes, and we remember. We remember because we pass the stories on, from Harbinger of the Balance to A Rubber Ducky, throughout the centuries. Do you want to hear one of our stories? Ask us, ask. Ask about the Pizza, the Thief and the Time..."
I just roleplayed Kian as chronically underkissed (like he pretty much told Enu): "So Anna wants to suddenly kiss me? Actually, why not!" I like that she is still a wild-card with mysterious motives, even after helping the resistance . I ... ran straight to her when I heard she wanted to talk to me. What can I say. I'm weak. But yeah, a shout-by option would be hilarious. It's okay. I won't hold it against you. Yet. I like that last bit about her, too. Though it also puts me really on edge. You and V, man. I knew it would come to this. Eh... So I guess I'm not the only one thinking that Anna is April reborn (whatever that means). Still wouldn't explain why she'd kiss Kian, since they weren't that close before. In fact, didn't April give Kian a big speech on how evil the Azadi are? Chaos! Panic! Disorder! My work is done here! I went to the mole first, too--same thinking as a girlnamedbob. Besides, the mole was closer and I knew exactly where I was headed. I was a little surprised that most people apparently kissed Anna. He doesn't know her, or have any real reason to trust her. He doesn't strike me as the sort of guy who would kiss a stranger; hell, I'm not sure he's ever really kissed a woman before. Also, despite what he says, we were told the disguising magic wouldn't fool someone who knew him intimately OR someone with training. Since he doesn't know her and she isn't willing to say how she knows him, if I'm Kian, I'm thinking that a trained eye is more likely than intimate knowledge. She probably is Lady Alvane, though. Oh! And I didn't run straight to her. ​because I took a wrong turn somewhere and got lost, otherwise I totally would have done that. I went to the Mole first as well - after all, Kian was complaining that his job for the night is too simple and he will have free time. It just felt natural, duties first, then mystery woman. And when Anna wanted to kiss him, I believe I was just as dumbfounded as him. We both went "Wait what...?!" and there she was, running away like a shy anime girl. Pushing her away seemed just mean anyway, but I wouldn't kiss her if that was there was no time limit. 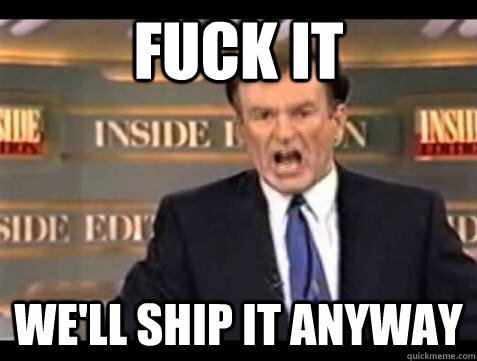 Because... Kian & Enu - I ship it! Also him dating a "magical" seems kinda right - something like a proof of his racism biting the dust. Finally, I don't believe Anna is anyone else than Anna. Saga is much more mysterious, April cared for the rebels. Remember, she was reborn, why would she be reborn as someone adult. Now if we talk Hannah being April, I can see that being possible. But I really don't understand those who think that Anna and Hannah are the same, plus there was never a person shifting between various ages before. So nah, I don't belive that's true at all. Kian needs Enu, but yeah, kissed "Anna". I kept thinking "Likho will be pissed when he finds out I ruined it all". I'm pretty sure no one wants to see that. But I'll take it under consideration. Why not? If you come up with slogans like "I have important rebelling to do"
Because I also do things like spend way too much time lost/going in circles in Marcuria. And then getting frustrated and running through patches of chickens cackling gleefully until my frustration subsides. ...Some of you may still wish to see this, but I'm not sure if *I* want you to see it. About reborn of April - little trivia - in Dreamfall one of Six mentioned that Scorpion will be reborn. Well... you sound like Enu. A little bit. Kind of. I thought while playing that Hanna looked a lot like Saga. I wonder if there is a link between Hanna and Anna. They both have the same name and red hair. I got April vibes from Anna. April and Hanna seem to have a similar personal story (hard childhood, orphans) and the picture of the mountains in Hanna's nest is where April's journey begins in TLJ ("Draic Kin's nest"). I suppose it's not a coincidence. Hannah and Saga seem to have similar facial structures don't they?! How did Ferdows pass through the Shift to Stark? And many more Questions!